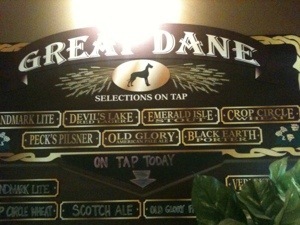 Last time we were at the great Dane we were celebrating my sisters engagement and the time before that we were having our rehearsal dinner. It’s been a wonderful journey this year and I’m so thankful for our family here and the memories we’ve made. Till next time Madison! It’s been a week since I’ve written! I’ve had computer issues and now I’m visiting family and trying to pack in seeing everyone in a week is tough! I sure am super grateful to be here and soaking it up. I thought I could share some pictures from our visit to new Orleans today those streets were so charming an brimming with character. Have a lovely Thursday! I love the beach and St. Petersberg is the ultimate beach for me. It’s quiet and goes on for miles. I loved walking barefoot down the sandy shore and collecting shells (Check out the project I did with shells here!) I imagine myself doing this everyday someday. I was able to let go of all my anxieties and blockages here and just be. It was the most peaceful and grounded I’ve felt in a while. These are a few of my favorite images that remind me of that feeling. So I just spent a week at the beach in Florida and several mornings I went out early to collect shells. I even used my tote that I painted to keep them in and it worked perfectly! I love the varied shapes and sizes of the shells and found that I even like the imperfect ones; isn’t that just life. I spray painted the shells gold and silver and used a jar from our wedding to hold them in the bathroom. I love it! It reminds me of our time there and how much I want to go back! We stopped in New Orleans (NOLA as the locals say) for two nights on our drive to Florida last week and stayed in the French Quarter. We loved it! I had my doubts about it but it was a completely charming area full of locals who can’t say enough great things about living there. We were directed by Peaches record store employee who ambled in a few minutes late (long night he said!) to the very best breakfast joint down a few blocks called the Camellia Grill. Best veggie omelet I’ve ever had. It’s fun too because you sit on u-shaped tables with everyone else and the waiter serves everyone at the “U” while the cooks are cooking right in front of us. The waiter congratulated my hubs for cleaning his plate then yelled to the staff “the dishwasher can go home, he’s cleaned his plate!”; it was very entertaining to say the least. I fell in love with the pretty painted houses and doors and took quite a pictures I realized! I could walk around there for hours! Here’s my favorites.